A recall notice enables suppliers to warn consumers of the hazard the product presents. If you are unable to identify who your customers are or where the products you sold are most likely to be located, you will need to advertise more widely to ensure a successful recall. Product description—a clear description of the product, including the name, make and model and any distinguishing features, batch or serial numbers. Dates the product was available for sale should also be included. Picture of the product—a photograph or drawing of the product will provide the consumer with a convenient and effective means of identifying the product. Description of the defect—a clear description of what the defect is. The defect should be described in simple terms so that the average consumer can understand what the problem is. Suppliers should refrain from using overly technical terminology wherever possible. A statement of the hazard—a description of the maximum potential hazard and associated risk. Where available, an appropriate hazard symbol should be included. A section titled “What to do”—which explains the immediate action the consumer should take. For example, “Cease use immediately and return the product to the place of purchase for a full refund”. It should be clear that the consumer should return the product and not dispose of it. Suppliers should ensure they minimise the inconvenience to consumers in order to encourage consumer compliance with the recall notice. A section titled “Contact details”—which explains who consumers should contact to receive a refund or have the product repaired or replaced. Business and after-hours telephone numbers should also be included (preferably toll free), as well as email and website addresses. The recall notice should not include the words ‘voluntary recall’. Suppliers can use the following templates to generate a recall notice. The recall notice should be submitted to the ACCC for comment prior to publishing. include the words “See productsafety.gov.au for Australian product recall information” at the base of the notice in bold 14 point font size. 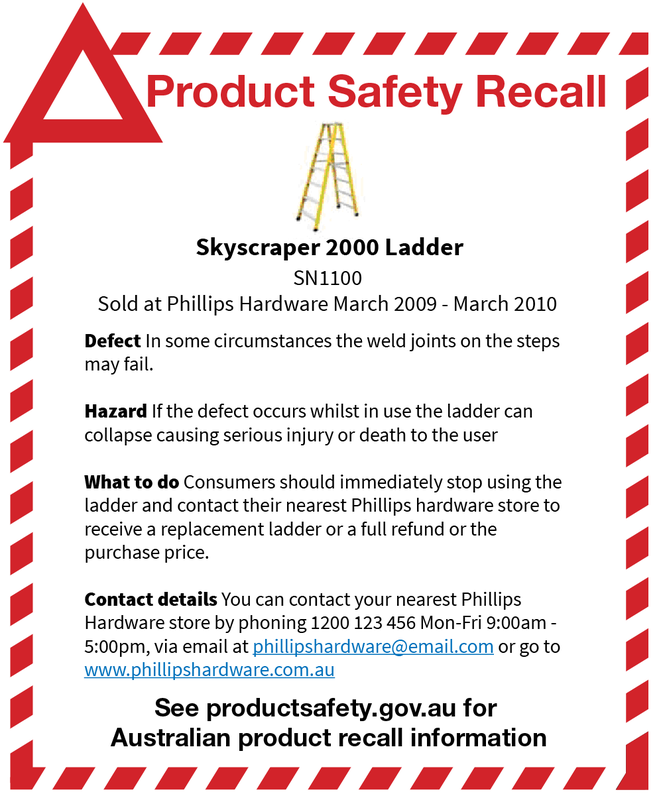 Note: if suppliers have already used the text “See www.recalls.gov.au for Australian product recall information” this is also acceptable, as recalls.gov.au will redirect to productsafety.gov.au.